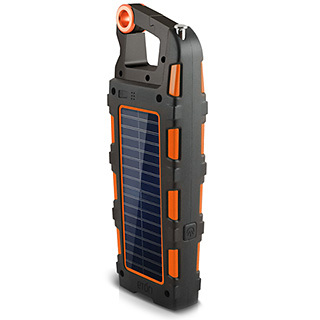 Camping Gadget of the Week on your shopping list. It is the Eton Raptor. There are a lot of features to this small little gadget, so many in fact, we list nineteen reasons why this is our gadget of the week. ** This is an instrument for constructing triangles in marine surveying etc (Don’t think I will ever need it, but nice to know its there). The Raptor is nice and compact, weighing in at only 320g! As you can imagine with all those built in gadgets, a 42 page manual comes with it to help you navigate your way around use. 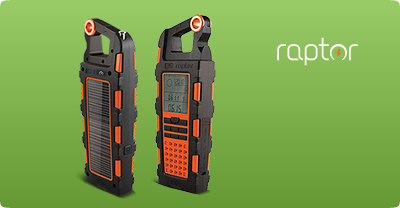 The Raptor comes in 3 colours – orange, green and black. Retails in USA for $100, but if you are buying in Australia, well, of course, that’s a different story......Expect to pay around AUD165. So the moral of this story is – shop around online. Yes, because it is a pretty cool gadget...Just like last week’s gadget, the headlamp (read about that one here). Want to read about all the gadgets you missed? Click here to see them all! Otherwise, don't forget to leave a comment below on your opinion on this gadget of the week.